Home > Employment Law > How Long Will it Take the EEOC to Investigate My Discrimination Claim? In 1990 the Americans with Disabilities Act (ADA) was passed by Congress with the intent to assist people who had disabilities to overcome barriers in society. The Act included equal access to employment, public facilities, public transportation, and more. Initially, the Supreme Court handed down an interpenetration of the ADA that was very narrow, so Congress acted and created the ADA Amendment Act (ADA-AA). The ADA-AA passed in 2008 and enacted a variety of changes. It reversed many of the court’s decisions that had restricted the ADA in the past. 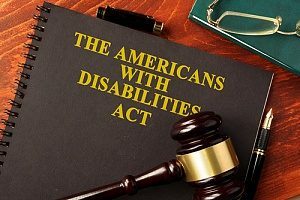 The ADA Amendment Act was designed to enact a comprehensive national mandate to end discrimination of people with disabilities, outlining standards that were clear and enforceable. This Amendment expanded the protections offered under ADA. The ADA only covers companies that have at least 15 employees. There are three ways disability is defined in the Act. These include “regarded as” disability, “actual” disability, and “record of” disability. An actual disability is defined as a physical or mental impairment that substantially limits one or more major life activities long-term. However, there is no specific definition of “substantially limits.” The definition of disability was meant to have a broad interpenetration. Under this definition, something like a broken leg would not be considered a disability. If you have been discriminated against due to your disability, you should take action against your employer because this wrong can be righted. This can bring about change to the company and award you what was denied due to your disability. Many times the goal of remedies is to put you in the same position (or nearly the same) that you would have been in had the discrimination never occurred. If your case is concluded to be a violation of the ADA then you may be awarded compensatory and punitive damages. The federal Equal Employment Opportunity Commission (EEOC) is an agency that is responsible for investigating most employment discrimination practices that are illegal under federal law. Their entire goal and focus are to enforce civil rights laws against workplace discrimination. The length of the investigation EEOC conducts can depend heavily on how willing your employer is to provide information to the investigator. The investigator wants to ask your employer questions about your claims if they can conduct interviews, and collect certain documents. If your employer is not forthcoming with this information, the EEOC may have to issue a subpoena to obtain documents, take testimony, or gain access to facilities. The investigation is supposed to be completed within 180 after you have filed your complaint, though that is not always the reality. In 2015, the EEOC reported that the average time between charge filing and resolution was 10 months. However, this is an average number, so there are cases that are shorter and cases that can drag on for much longer. The length of time it takes your case will depend on how complex it is, the cooperativeness of both parties, and the investigator’s caseload. Once you file your charge with the EEOC, your employer will be notified within 10 days. Following this, the investigator will determine if the charge can be further pursued and if mediation and settlement are a possible form of resolution. If neither party is willing to resolve the issue at this time, the investigation moves forward. Next, the investigator is going to start collecting and evaluating evidence to determine if there is reasonable cause to believe that unlawful discrimination has occurred. If the investigator concludes there is not reasonable charge, you will be issued a Dismissal and Notice of Rights that informs you that you have 90 days to file a lawsuit in federal court if you want to proceed further. 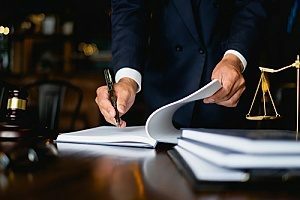 If the investigator does find reasonable cause, both parties will receive a Letter of Determination that requests both parties go through an informal process known as conciliation. If conciliation does not result in a resolution, you will receive a Notice of Right to Sue and may file a federal lawsuit within 90 days. When pursuing a claim with the EEOC is it best to have the help of an ADA lawyer. Their expert knowledge will help guide you through the process and significantly increase your chances of winning your case. You should have a consultation with an ADA lawyer before ever filing your charge to allow them to view your case and inform you of all of your options moving forward. Your ADA lawyer will play a pivotal role in the management of your case which will make dealing with the situation much easier for you. Speak to an experienced Fairfax ADA lawyer for more information. You can schedule a consultation to determine whether you have a viable ADA discrimination case, and what your legal options are moving forward.